A Face only a Baby could love. A baby Robin that is. Got this just before lunch ...... not my lunch. 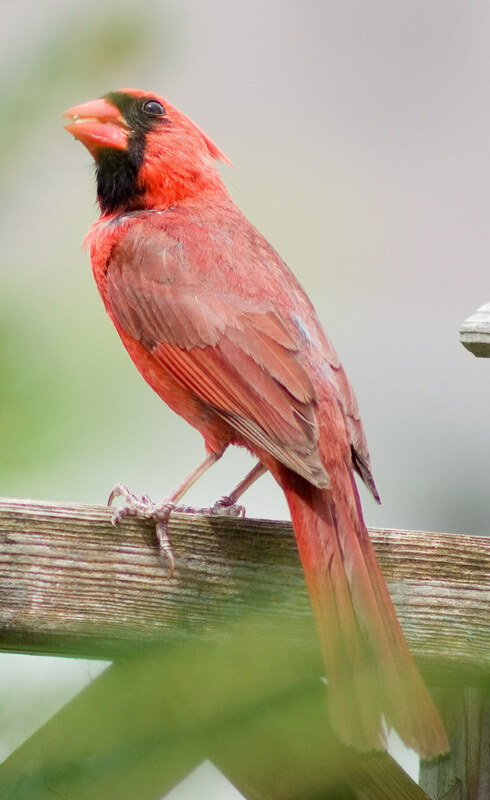 This Cardinal has eluded me all year and this is the best he has let me have so far. Even then I just had time for a quick snap. Partially obscured by branches. And this guy just because I liked the pose. Love the photo with the worms - what a great capture. Congrats. 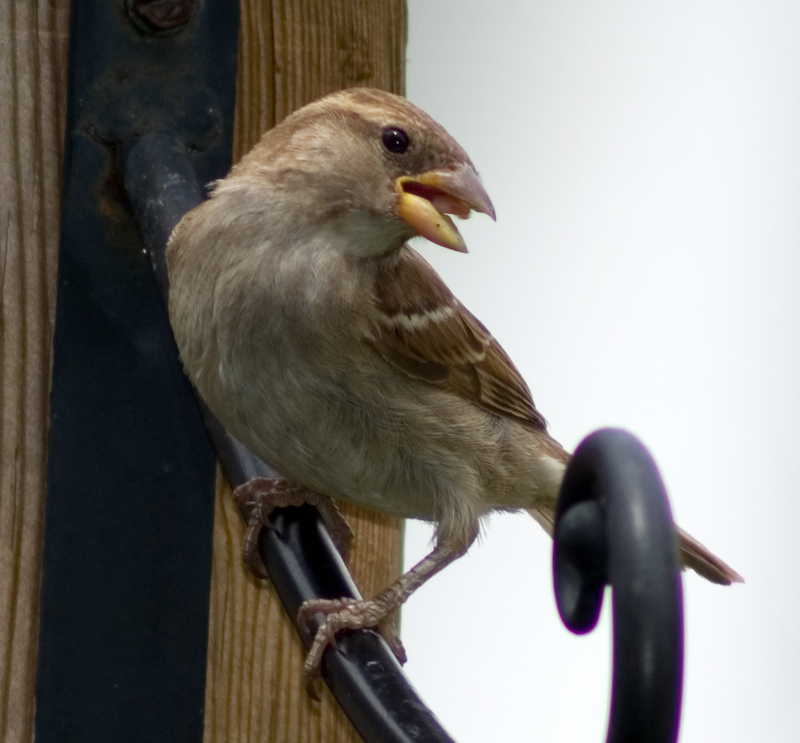 This guy/gal spends the entire day running back and forth to the nest and I often see him/her with a mouthful of bugs or worms. Indeed, that first shot is outstanding. the first one is fantastic! Thanks guys - much appreciated. 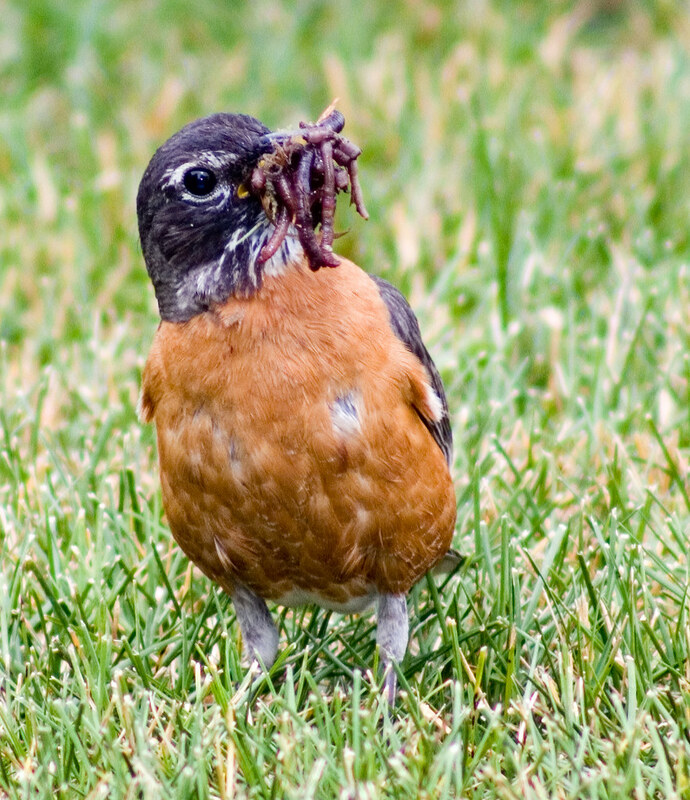 The Robin image is a little creepy but I'm sure the family enjoyed the snack.